Even the best of us feel sluggish and uninspired sometimes. Maybe these 5 Productivity Tips for Procrastinating Artists will help. 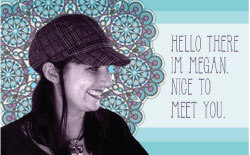 Erin from EEF etc has a cool project called Indie Gift Box. I’ll be contributing to it next month! WordPress 3.4 was recently released. Here are some important things for you to know. Five ways to use Instagram to build your art business. Who doesn’t love cool freebies? Check out these digital noise textures from Lost & Taken. This Alice in Wonderland subway map belongs somewhere in my house. Great advice from Nubby Twiglet about building your font library. Shameless self promotion time! I added a bunch of new items to my Etsy shop!